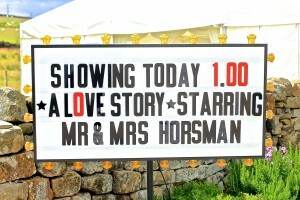 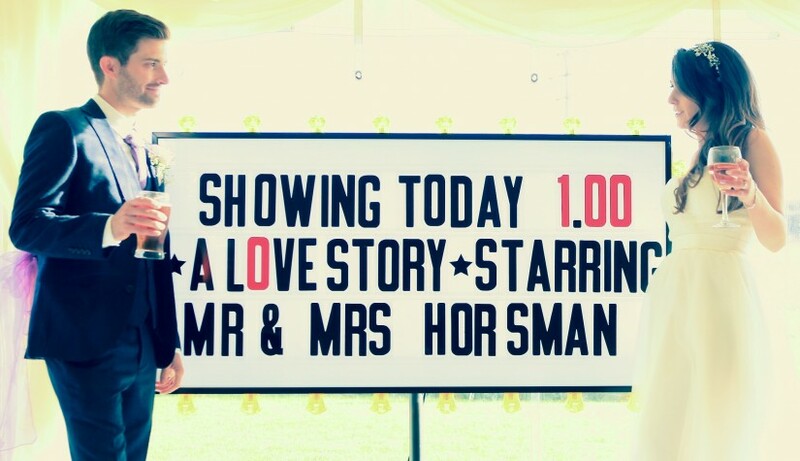 Recently our Cinema Sign made its a debut in the world of weddings for the wonderful couple of Andy & Amy Horsman. 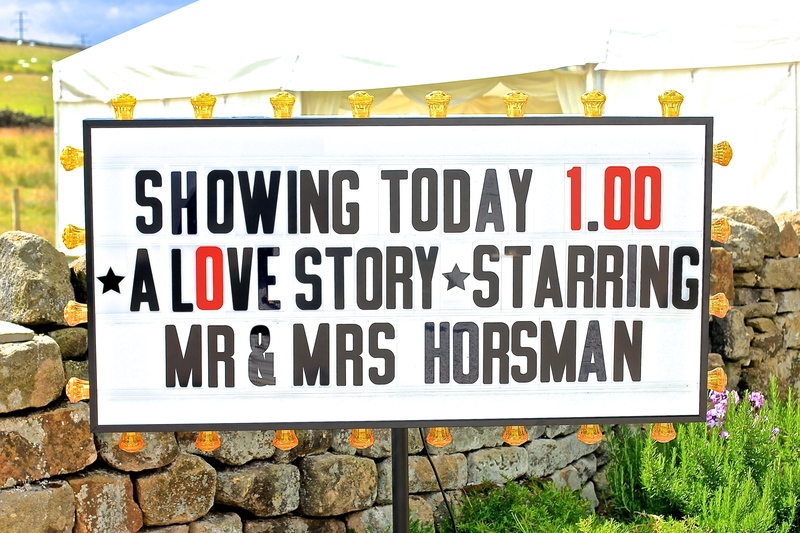 The scene was set on Otley Chevin, a gateway to the Yorkshire Dales on the outskirts of Leeds at a very personal and admirable venue, the Chilli Barn. 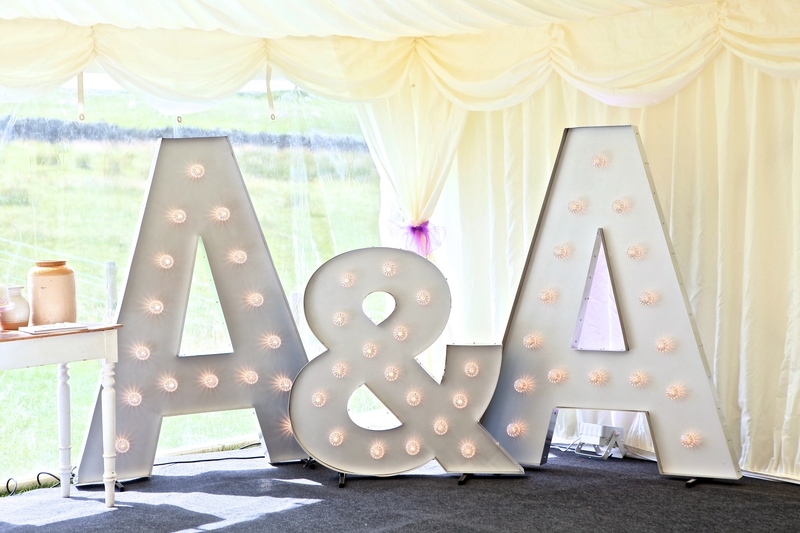 The sign took pride of place outside the venue, perked on a small hill approaching the entrance for all guests to admire on their arrival, later the sign used its full portability to sit inside the attached marquee alongside our 5ft light up letters, “A&A” and our crisp white LED Dance Floor.